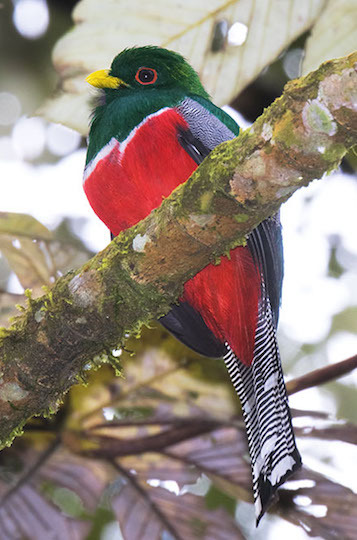 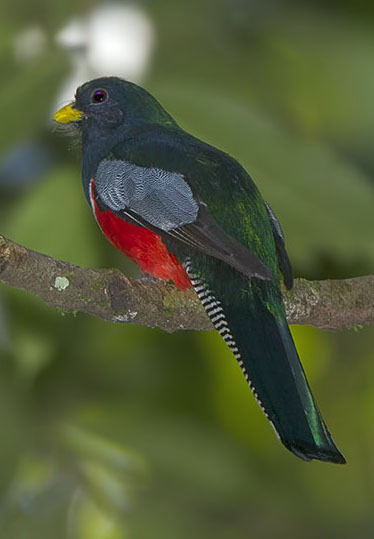 Collared trogons are one of the more common and widely-distributed Neotropical trogons. 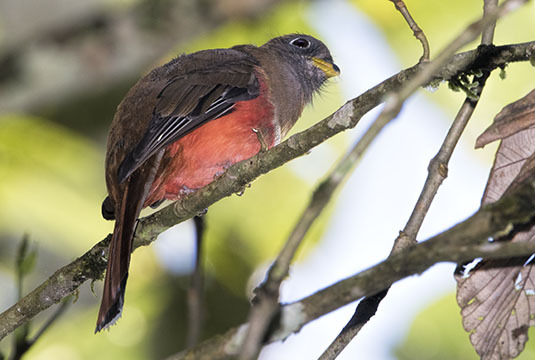 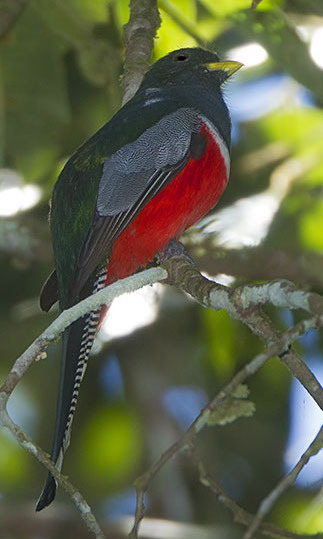 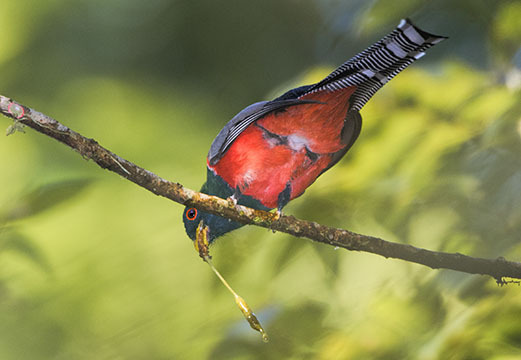 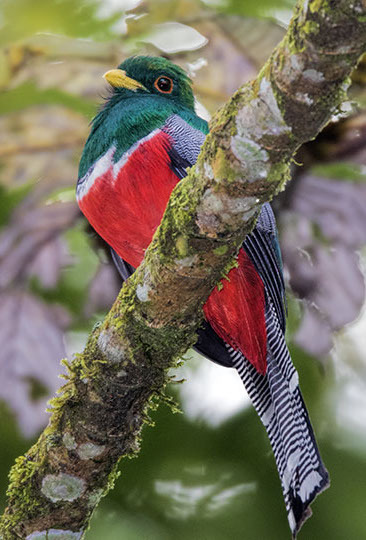 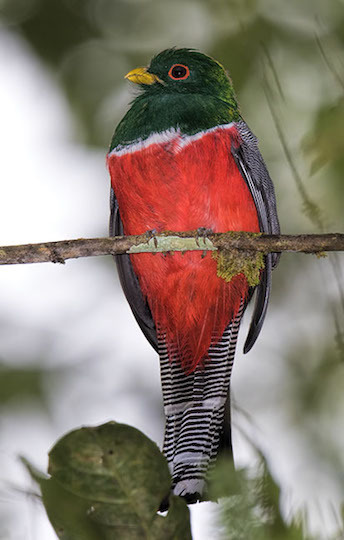 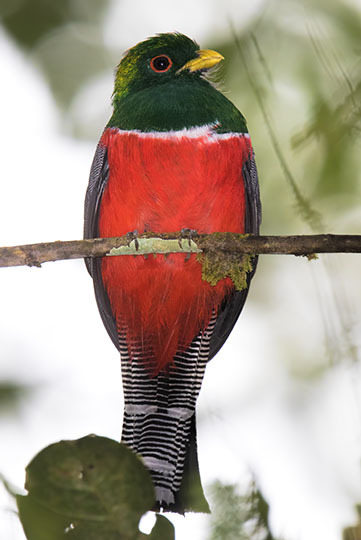 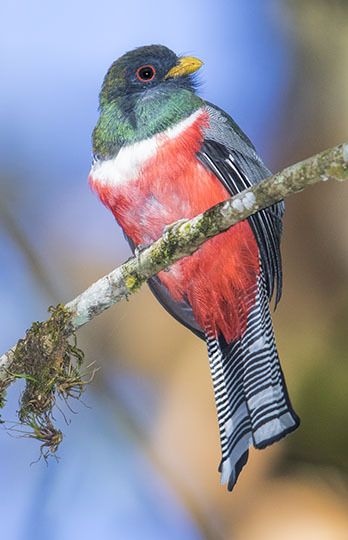 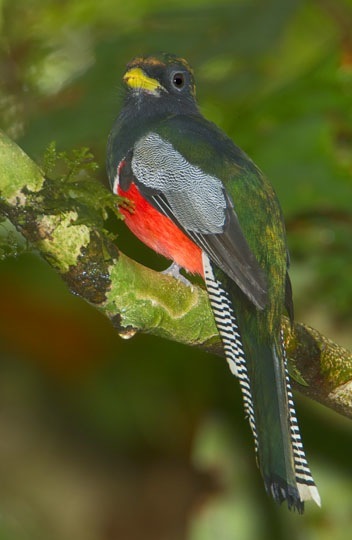 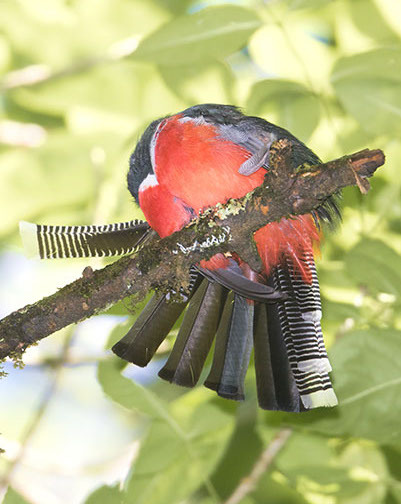 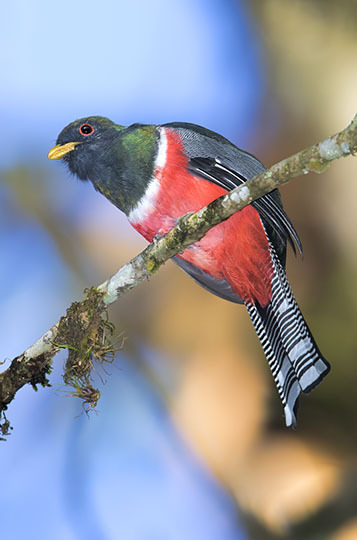 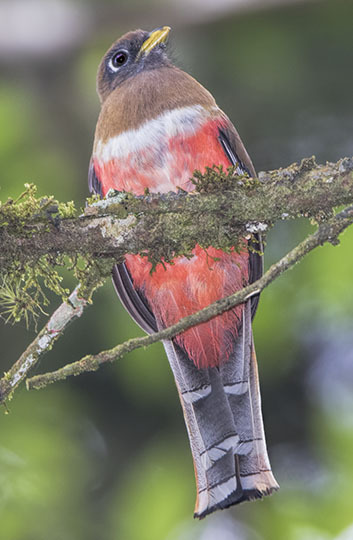 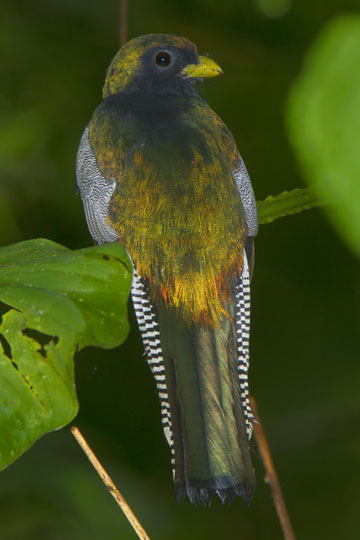 As with most other trogons, males are more brightly colored than females. 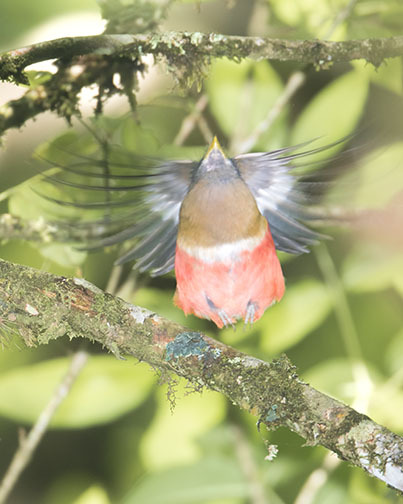 These were photographed in deep forest near Pantiacolla Lodge in southeastern Peru, and at Otun Quimbaya in southwestern Colombia. 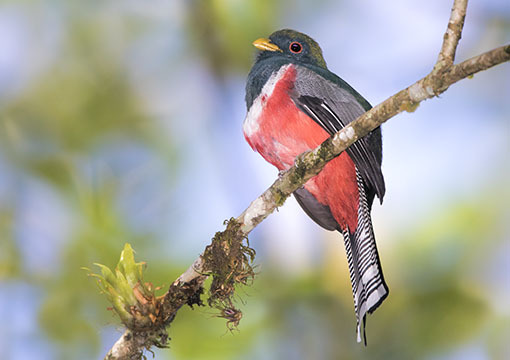 A very similar species, the elegant trogon, breeds in small numbers in the mountains of southeastern Arizona.